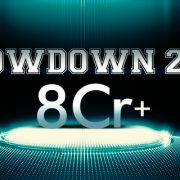 Behold, Adda52’s showdown 2018 is finally here! Another great year is coming to an end. It’s time to bid adieu to 2018 and say hello to 2019 with joy and lots .. 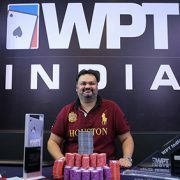 This Mumbai-based player is this year’s World Poker Tour India Champion. 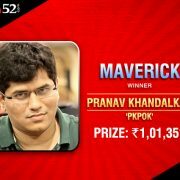 Nikunj Jhunjhunwala won the 2018 WPT India No Limit Hold’em Main Event at the luxurious ..
Maverick is among Adda52’s biggest weekly online poker tournaments where players can win from the huge prize pool of INR 6 Lacs GTD. The website hosts .. The biggest surprise of 2018 has finally been revealed! Adda52 has introduced an innovative and exceptional loyalty program – Adda52 Advantage to acknowledge ..